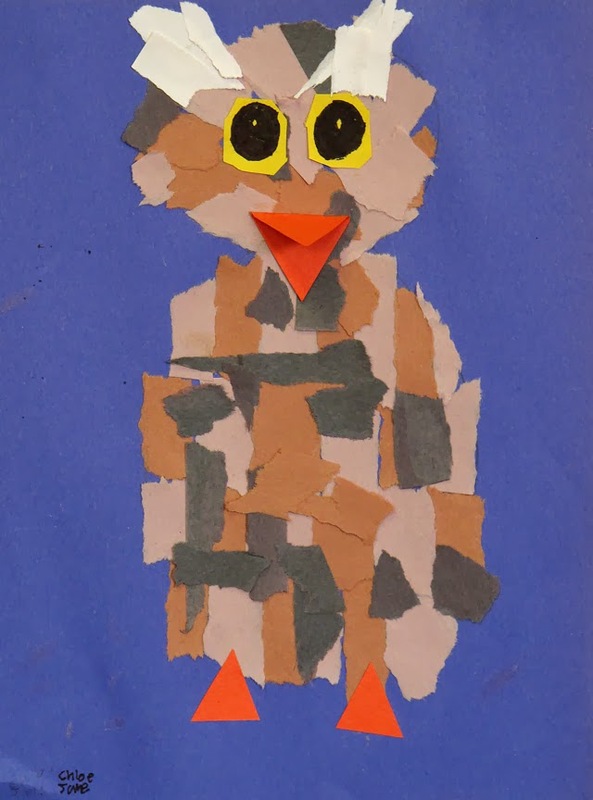 Artwork by Chloe Jane P.
I've been introducing the first graders to the art element of texture by having them create these owl collages with real texture. 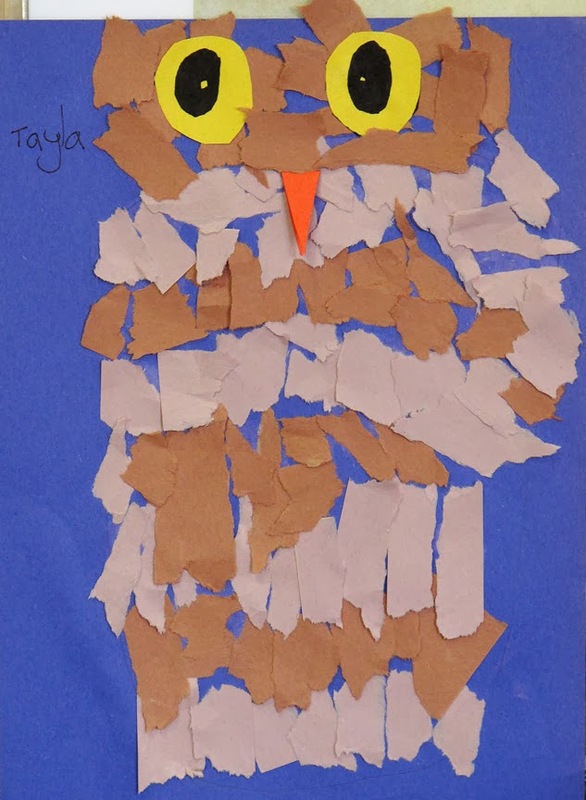 It helps to look at various images of owls and other animals and have the students use good texture words to describe how the animal might feel. 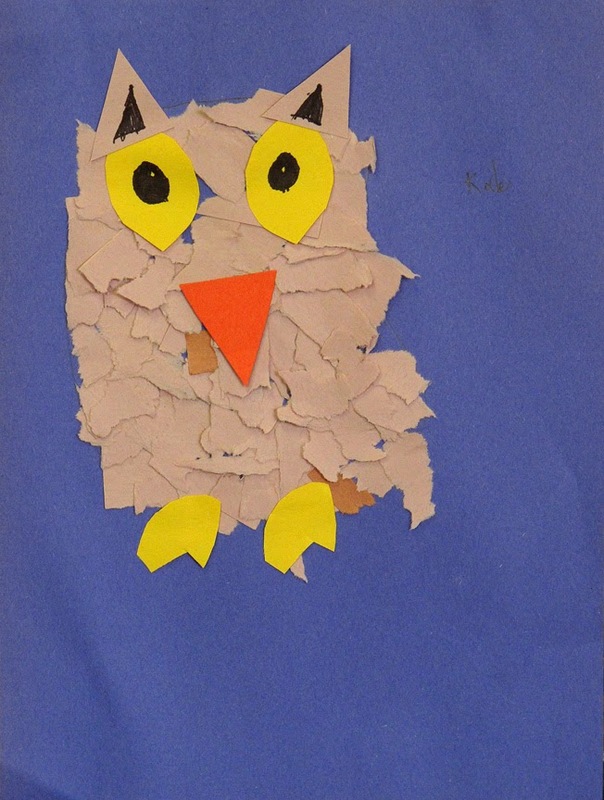 Later, they'll learn how some artworks just look like they have texture (what artists call "implied" texture).